Christian books are books about the Bible or Christian life. Thousands of authors have published works about their opinions and interpretations of the Bible, and how to apply the Bible to everyday life. Get on the spiritual path by getting to know more about the Christian faith through these written works available here. Here you can read the classic stories that have lived through the centuries. Familiarize yourself with the classic biblical tales such as Adam and Eve or learn more about the book of revelations. If you would like to recieve a free bible by mail there are a few groups that offer Free Bibles on the Internet. Some of them offer particular versions of the Bible with translations that promote certain ideologies instead of trying to most accurately get across the message of the original text. Bibles for America is a nonprofit organization whose mission is to distribute free copies of the New Testament Recovery Version and Christian literature throughout the United States. Click here to apply for a free bible from Bibles for America. If you are looking to get a free Bible outside the United States apply to get your free bible here. Religious and spiritual books revolve around stories and/or reports on cultural systems, belief systems, and worldviews that establish symbols that relate to humanity, spirituality, and moral values. These religious novels discuss the development and root of religion and how it affects multiple cultures. Booklovers enjoy reading these spiritual texts because they explain the origin of practice, moral beliefs, cultural behaviors, resulting in learning an extensive amount of knowledge of world religions. 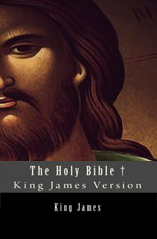 There are many types of religious e-books that can be downloaded from Freebooks.com. Choose from a large list and start examining religions and beliefs such as Buddhism, Catholicism, Christianity, Church of Jesus Christ of Latter-day Saints, Mormon fiction, Gnosticism, Hinduism, Islam, Judaism and Judaica, Protestantism, Theology, and also controversial viewpoints like Atheism and Agnosticism. Having an understanding of different religions can be very insightful. It affects and is associated with public institutions like education, hospitals, families, government, political hierarchies, and can explain why people behave the way they do. Learn more about religions by downloading free e-books on Freebooks.com.